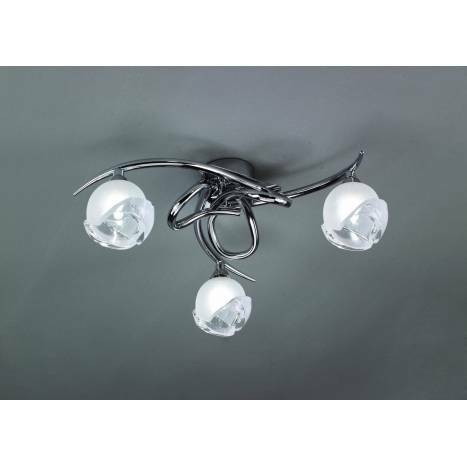 Mantra Bali ceiling lamp chrome 3L E14 manufactures with high quality glass tulip. Mantra Bali ceiling lamp linear chrome 3L E14 with high quality glass tulip. Bali collection combines frames designed with ties and loops that give it a look that is stylish and original, with the modern touch of chrome color. Available in a wide variety of models, is intended for the use of led light bulbs or low consumption. 3xE14 9w Max.